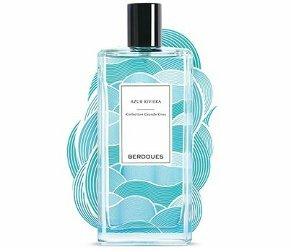 Early next year, French perfume house Berdoues will launch Azur Riviera, a new addition to the Colognes Grand Crus collection. Our perfumers reveal a journey at the heart of the French Riviera. This Grand Cru will be fresh and full of surprises thanks to a blend made up of a floral bouquet and above all a marine personality that is most addictive. When the Mediterranean Sea spray blends audaciously with the softness of the white flowers, France reveals itself and shines! French-style freedom in a glass bottle. Azur Riviera was developed by perfumer Jean-Marie Santantoni. Notes for the aquatic floral include fucus (brown algae), jasmine and orange blossom. Berdoues Azur Riviera will be available in 100 ml. Brown algae sounds less appealing than regular algae, which is also not appealing to me. I like the bottle though. I love the bottle. Not likely I need any more aquatics, but that’s a great bottle. Yes, but is brown algae any worse-sounding than “fucus”? Their bottles are always so pretty I’m also pretty curious what “French-style freedom” smells like. This has me written all over it. I love Berdoues. Blue is my color. I just discovered a love for marine notes. I will get my nose on this one eventually. I think right now they’re saying February, but these often appear early. Maybe someone who’s going to Twisted Lily can snag you a sample? Or, take a chance and buy s large sample. Besides Valentine’s Day, February must be someone’s birthday, half-birthday, Anniversary, half m-anniversary or for sure, doesn’t everyone celebrate half-Labor Day…or you can extend Christmas an extra 2 months. The possibilities are endless! I might just wait until it shows up discounted and get a large sample… always good for decants too LOL ???? They have testers for these at my Sephora (Valley Fair, San Jose, CA). Check back at your Sephora, maybe they have changed things around. My Sephora does! Sorry they all don’t.